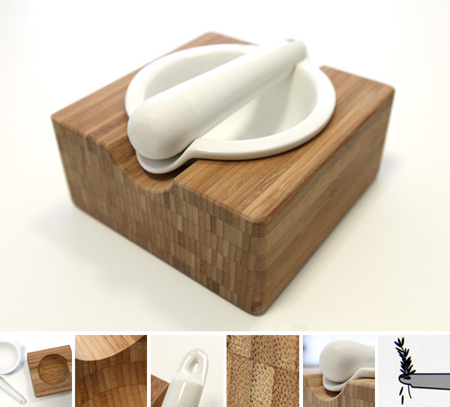 Mortar and pestle are one of the must-haves for our kitchen. 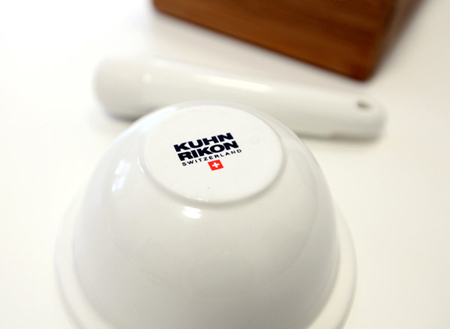 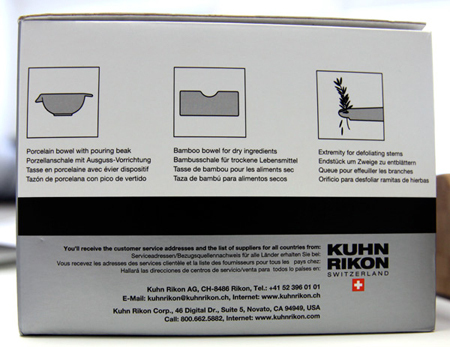 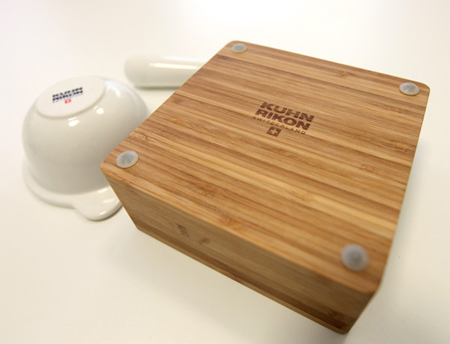 Providing you with a functional and eco-friendly mortar and pestle is the Swiss designer and chef Philipp Beyeler called the Kuhn Rikon Eco Mortar & Pestle with bade made of bamboo and a porcelain bowl. 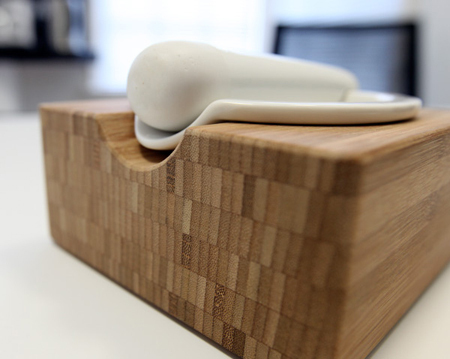 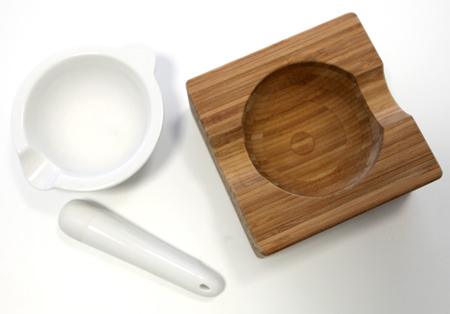 This elegant mortar and pestle is a perfect example of an elegant product and sustainable at the same time. 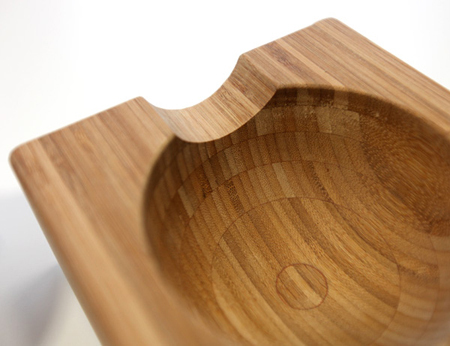 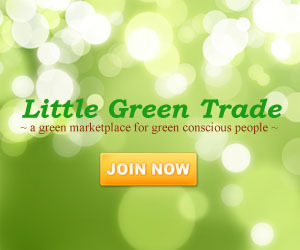 In addition, it also has a teardrop shaped porcelain hole that can be used not only for defoliating stems. 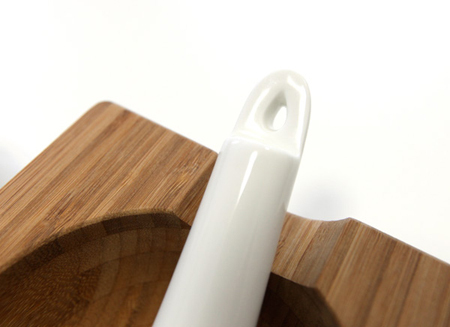 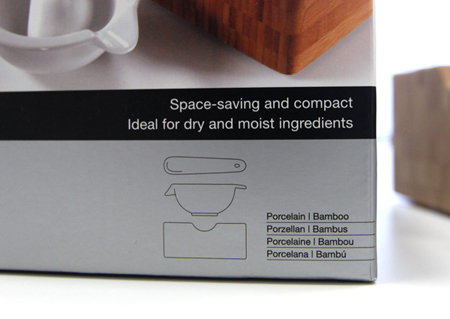 The combination of bamboo and porcelain creates and elegant tool and beautiful décor for your kitchen.